KwaZulu-Natal was established in 1994 when the province of Natal and the territories once belonging to the KwaZulu homelands were merged following the abolition of apartheid. The province came to be known as Natal in the late 15th century, when the Portuguese explorer Vasco de Gama landed here on Christmas Day, 1497 (‘Natal’ means Christmas in Portuguese). The province is made up of three geographic areas: the lowland region along the coast of the Indian Ocean which is narrow at its southern end but becomes wider the further you get to the north, the central region of the Natal Midlands which stands on a hilly plateau rising to the west, and the mountainous areas of the Lebombo mountains to the north and the Drakensberg mountains to the west. The province’s interior is mostly composed of large rolling hills stretching from The Valley of a Thousand Miles to the Midlands, and is so beautiful that it has inspired many South African literary works. The province’s largest river, the Tugela, originates from the heart of the region and flows from east to west. KwaZulu-Natal is also known for its coastal areas that combine cosmopolitan city glamour with the quaint serenity of small villages. The north is mostly savannah, while the midlands are characterized by gentle hills and grassy plains where healthy cattle graze. The landscape is also dotted with small, quiet towns, villages and country inns. KwaZulu-Natal’s lush, diverse landscape gives rise to a warm, subtropical climate. Summers are hot and humid with occasional rain, while winters are generally dry and warm. Frost occurs occasionally, and snow falls in the mountains, particularly along the Drakensberg mountain range. KwaZulu-Natal’s picturesque landscape offers spectacular views of subtropical bush, golden beaches, cane fields, and rolling hills dotted with hibiscus flowers. The colourful Zulu culture and traditions, its Boer and British colonial past, and the bustle of its main towns add to its appeal. Game sanctuaries, prolific bird species endemic to the region, and crocodile farms offer some of the best experiences in the African wilderness. The Drakensberg Mountains, known to locals as Quathlamba or ‘the barrier of spears’, are another great holiday escape, as its mighty snow-capped peaks are among the most beautiful sights in South Africa. Here, you can spend an adventure-filled weekend camping, hiking, mountain climbing, and horse riding along its scenic nature trails. Hotels and leisure resorts are also nestled in picturesque valleys and lowlands. Another great place to visit is the iSimangaliso Wetland Park. It consists of five different ecosystems, and reputedly hippos, crocodiles and sharks swim the same lagoon here. The province is also noted for the dynamic qualities of its two main cities: the capital, Pietmaritzburg, and one of South Africa’s favourite beach escapes, Durban. Both have modern shopping centres, flea markets, bazaars, discount shops, and craft trails where you could buy silks, spices, clothes, jewelry, and antiques. Both cities have an exciting nightlife scene, with trendy bars, pubs, and dance clubs. These historic towns are also full of beautiful colonial buildings, theatres, concert halls, museums, and art galleries. KwaZulu-Natal’s provincial capital, Pietermaritzburg, is the second largest city in KwaZulu-Natal, and one of South Africa’s major producers of aluminum, timbre, and dairy products. The best time to visit the city is during the spring, when the whole city is awash with azaleas in full bloom. Pietermaritzburg has retained strong connections with its British colonial past, with an elegantly antiquated atmosphere befitting this ‘Last Outpost of the British Empire’. Several Victorian and Edwardian-styled homes and buildings still line the city streets, and in the leafy suburbs, many red-brick bungalows and elite boarding schools remain as heirlooms to the city’s bygone colonial past. Pietermaritzburg’s City Hall is one of the finest examples of colonial architecture in the country, a magnificent, red-brick Victorian building that is the largest of its kind in the Southern Hemisphere. 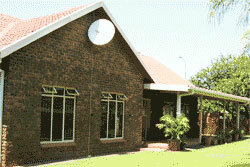 Another one of the city’s famous landmarks is the campus of the University of KwaZulu-Natal. One of the staunchest supporters of the anti-apartheid struggle, the university was among the first schools in the country to provide education to black students. Durban’s name in the Zulu tongue, eThekwini, translates into ‘the place where the earth and ocean meet’ and it is certainly a fitting name for this city by the beach. Large, populous Durban is the biggest city in the region, and Africa’s busiest container port. The city’s sunny, palm-fringed beaches along its Golden Mile made it one of the world’s top holiday destinations in the 1970s, though its popularity waned in the 1990s following Cape Town’s ascent. Durban is still a great vacation hideaway, though most of its visitors are local tourists. Though quite cosmopolitan and fairly modern, Durban has been experiencing an economic downturn along with the decline of its central business district, the rising unemployment rates, and its growing crime-ridden reputation. However, authorities are hopeful that preparations for the city’s hosting some of the games of the FIFA World Cup will improve the situation. Efforts are being made to attract new business to the city. Many developments, like the downtown uShaka Marine World and other residential and leisure areas, are going up. There’s much to see and do in Durban. The Golden Mile has a vibrant atmosphere along its stretch of golden sands, where beachcombers enjoy the sunshine and the warm waters of the Indian Ocean, or the clubs and restaurants nearby. It is also a world-renowned surfing paradise, particularly along North Beach, Dairy Beach, Bay of Plenty, and Snake Park. A paved oceanway has been built along the beach. Beachfront properties include some residential apartments and tourist hotels. The area is overrun with tourists, so the nearby open market might be a more interesting place to visit. Getting around the city is very easy. Durban has has excellent roads and freeways, is served well by railways lines, and has a proliferation of buses and taxis. One of the most happening spots here is the bohemian shopping district along Davenport Road, whose hip factor is rising fast enough to gain comparisons with Joburg’s trendy Melville suburb.